Fee: $55.00 All supplies included: muck, screening, wire, moss, fern, ivy, tiny azaleas and other accent plants. 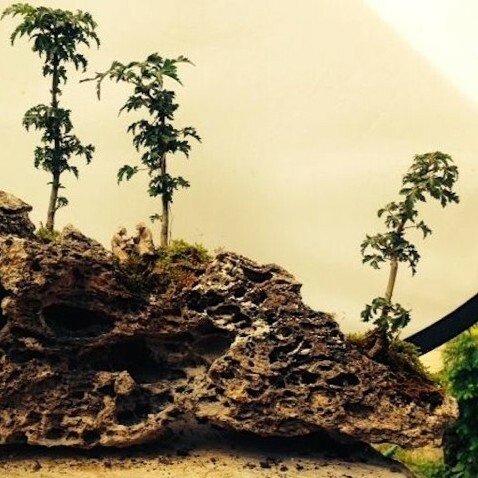 Join us at Plant City Bonsai this Saturday in creating fun and exciting mountain scenes using stones, trees, and accents. Tree possibilities are Shimpaku, Nana Juniper, Black Pines, Maples & Boxwoods. Tropicals are also available such as jade, schefflera or ficus. Rocks & trees specially priced for this event. All supplies included: muck, screening, wire, moss, fern, ivy, tiny azaleas and other accent plants.